When Rick Diamond of Book Publishing Company approached me on Twitter about reviewing vegan books on the blog I thought he may have the wrong gal! "I'm not vegan," I thought to myself, "heck, I'm not even vegetarian!". And then I went to his site... and looked at the amazing books he's offering ... and I realized I'm a LOT more into veggies and healthy eating/cooking than I give myself credit for! :) These simple to follow, fully explained (to the point of a glossary in the back of the book for newbies like me who don't know all the terminology yet!) 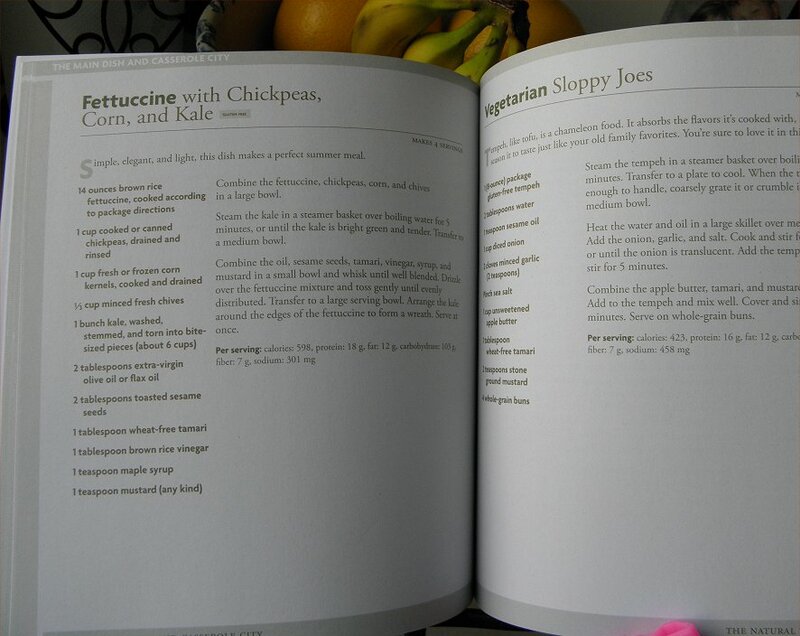 recipes are all nutritionally broken down and look AMAZING! 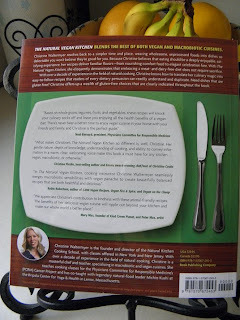 I've had over a month to delight in the two vegan cookbooks I'll be offering during the HLG anniversary. The first, The Natural Vegan Kitchen, "weaves wholesome, unprocessed foods into dishes so delectable you won’t believe they’re good for you. From nourishing comfort food to elegant celebration fare, these recipes are easy-to-understand and duplicate." So true! In the past year, especially, I have found myself turning more and more to whole foods, natural foods without preservatives or additives. (Plus, I am a firm believer in the Farm Fresh and Buying Local movements having grown up in rural New York state and knowing small farmers' struggles to stay in business!) 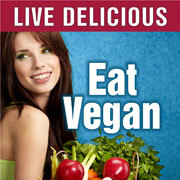 I know that this little change in fresh and raw foods has helped my health and vitality. This cookbook will continue me on the journey with inspiring new ways to 'put things together' that I had never thought about and enjoy the delicious, healthy outcomes! I hope it will give you the same inspiration! 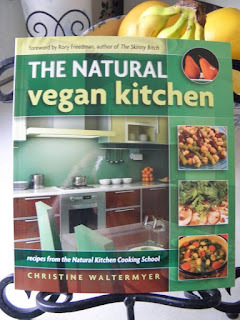 : ) I'll share the photos here and let you know what recipes I make from the vegan cookbooks, especially on "Meatless Mondays". 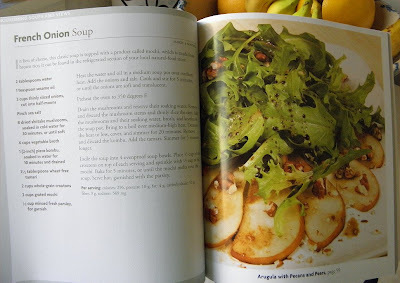 Thanks very much to BookPubCo for offering the cookbooks to HealthyLoserGal blog readers during the Anniversary celebration! Here's to our health & fitness, friends! Fun choice! My family and I are actually doing a 'Vegan for a Month' challenge in June and this would be a huge help! While I'm not vegan, I've been eating more and more meals that don't include meat. I feel much better when I eat a rounded meal full of veggies! This book would help me to shake it up a bit. Hey guys, thanks for all the enthusiastic comments and I hope that you enjoy the book. It's great that you're incorporating more veggies to create balanced meals. Over the years I've become a kale-aholic myself. 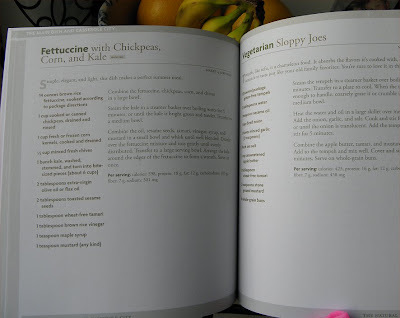 ; ) Happy cooking and I'd love to hear how your dishes from the book turn out! im following rick diamond on tiwtter! 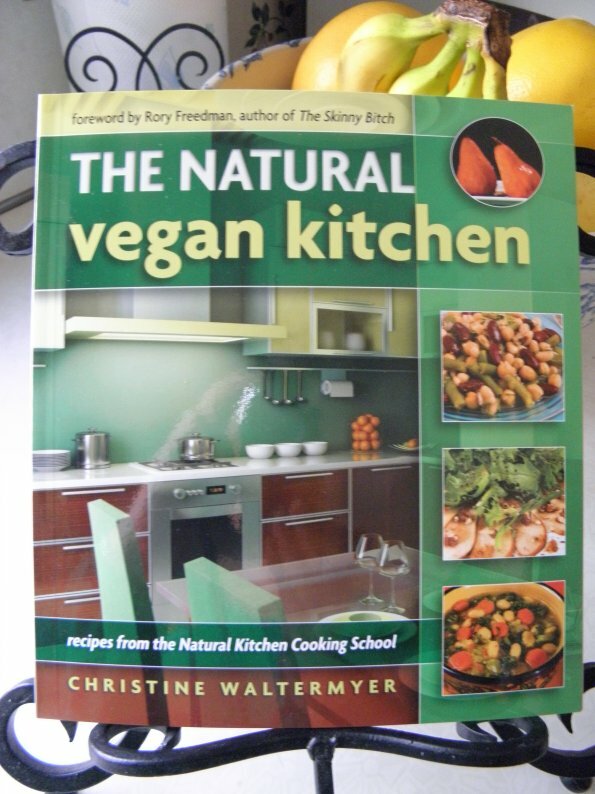 id love this book because i am a vegan and i love new recipes!